摘要 针对静态无线传感器网络中常常出现的覆盖洞问题,采用了移动节点进行修复的思路,提出了三角形贴片式的逐步增加移动节点方法。该方法利用覆盖洞边缘节点提供的辅助信息,指导移动节点移动到＂最佳＂位置。首先从几何理论上分析了最佳位置的存在条件,随后证明了在相关位置部署移动节点可以保证最低覆盖率大于90%,最后以仿真实验验证并分析了该算法的覆盖度、稳定性、冗余度等指标,并从移动节点覆盖能力利用率的角度,与相关工作进行了对比实验分析。 Coverage holes directly reduce network performance and become a key problem of static wireless sensor net-works.A hole-patching method was presented to get the resilient coverage,in which mobile nodes were guided by the boundary nodes of the coverage hole and patched uncovered area in the hole triangle by triangle.Based on geometry theories and mathematic deduction,the moving destination of the mobile nodes was proved to be optimal,and the cover-age of the patched holes was higher than 90%.Simulation results show the coverage,stability and redundancy of the proposed method,and then the availability was compared with some related methods reported recently. 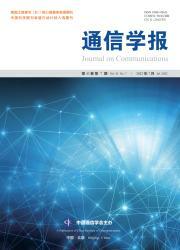 1Yu, Jiguo, Qi, Yingying, Wang, Guanghui.An energy-driven unequal clustering protocol for heterogeneous wireless sensor networks[J].控制理论与应用：英文版,2011(1):133-139. 7超值选择 七彩虹iGame GTX460-GD5 CH版1024M Q40[J].电脑迷,2010(18):37-37. 9伦志远,李云,赵凯,杜刚,刘晓彦,王漪.Modeling of trap-assisted tunneling on performance of charge trapping memory with consideration of trap position and energy level[J].中国物理B：英文版,2016,0(8):447-451.